Most of the cars that I work on are typically brand new cars, but i still do have older cars come in every now and then to have some vinyl work done. 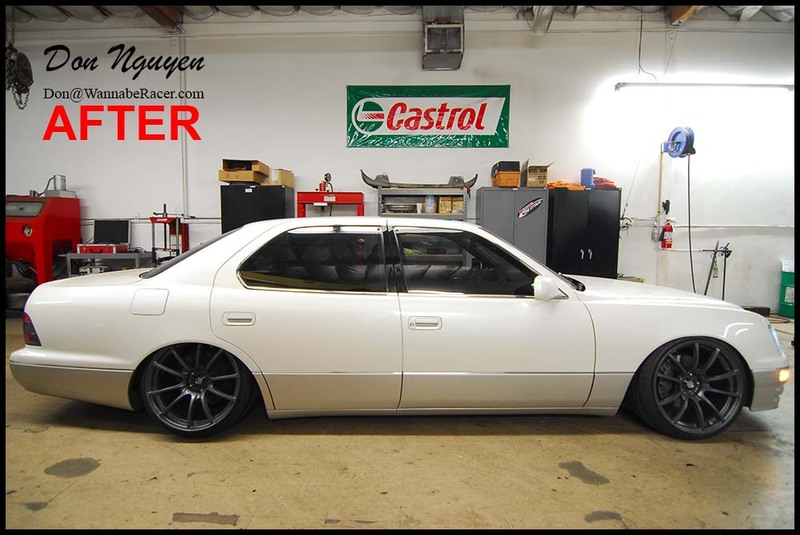 The owner of this white Lexus LS400 sedan had me lightly tint / smoke the tail lights of his car with my vinyl car wrap material. It is a fairly light shade/tint, so it tones the tail lights down just enough without overly making it look too dark and out of place. I think the shade went well with the darker colored wheels on the car. The owner of this car came out from Walnut / Los Angeles area to have me wrap his car in Anaheim Hills / Orange County.